Panic at the Disco: How am I Going to Wear My Hair? That’s where KidSnips comes in. 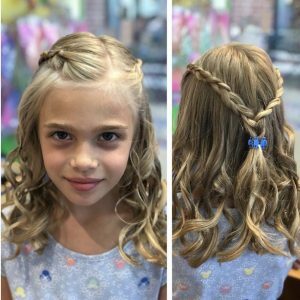 Whether your daughter prefers an updo or a blow out, or your son wants a new cut, KidSnips can help. Our stylists can make suggestions or just listen to ideas. Either way we can have your teen looking perfect and selfie-ready. We can find the right look that compliments your teen’s dress and doesn’t compete with it. It might be fun for them to go with something completely new and surprise their friends and their date. Still looking for ideas? Check out a few of the styles that we have on our website. You may find the ideal look, or be inspired to create your own style. 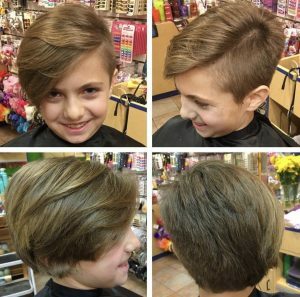 From buzz cuts, to crew cuts, to the messy look…your son’s hair is important for these special occasions as well. While they may not primp as much of the girls, they still want to look good. We can work with them to find the style that makes them look cool and feel comfortable. The process doesn’t need to be stressful. It can be fun! Let KidSnips help you and your teen get ready for the big night!